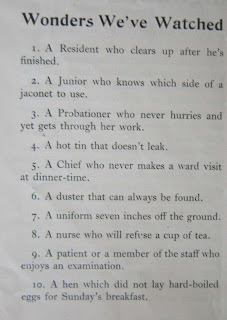 Happy International Nurses’ Day 2017! 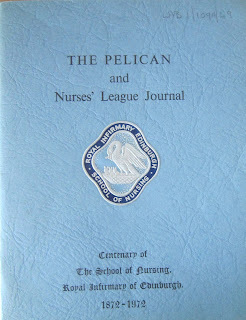 Since 1974, the International Council of Nurses has celebrated the amazing achievements of the nursing profession throughout the world. 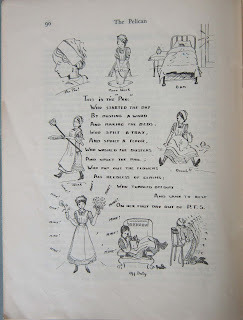 12 May was chosen since it’s also the birthday of Florence Nightingale – whom I’m sure needs no introduction, but you can read more about our Florence Nightingale letters here. 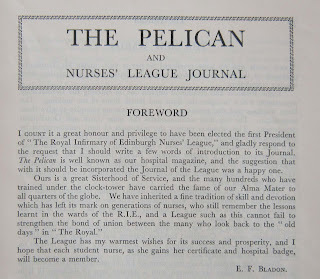 Around each International Nurses’ Day in the UK, there’s a service at Westminster Abbey in London, in which a symbolic lamp is passed, and more local celebrations in hospitals and health organisations. 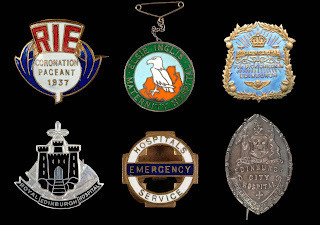 There are also annual events across the world (including these impressive displays in China). 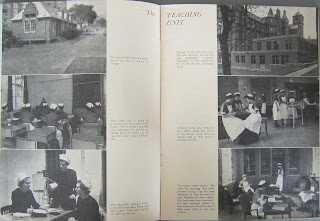 One of our new colour postcards! 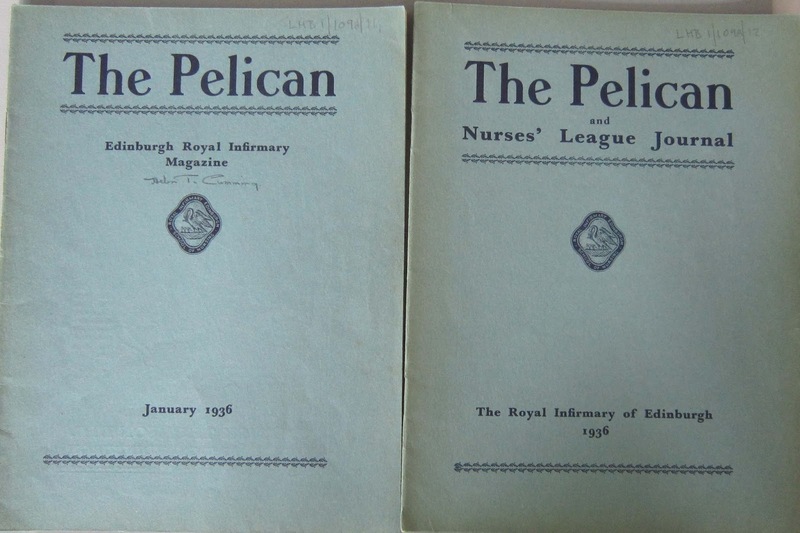 … staff registers, photographs (although not always with named nurses), wage books and training records up to the early 1960s (when nurse training began to be re-organised from individual hospitals to wider local institutions – the Lothian Colleges). 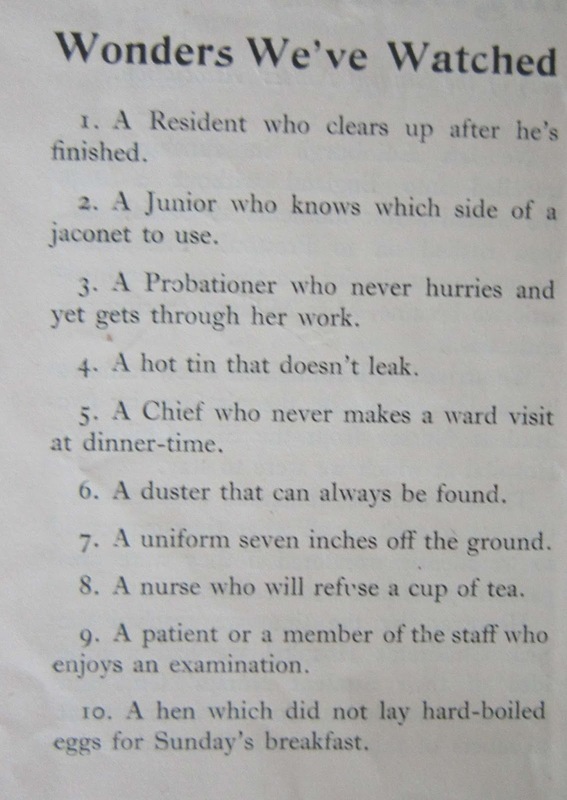 In fact, there’s a handy source list if you’re wanting to look into nursing records here. 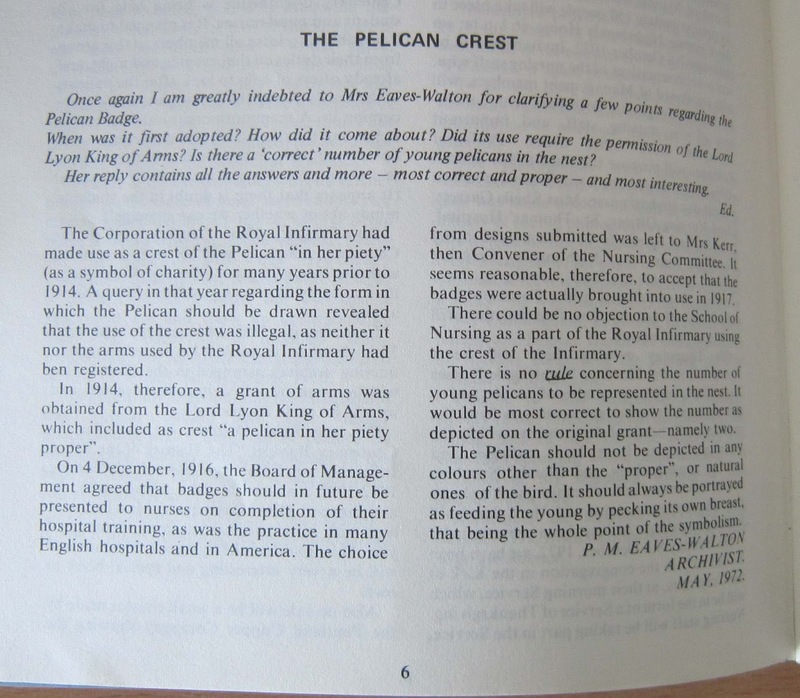 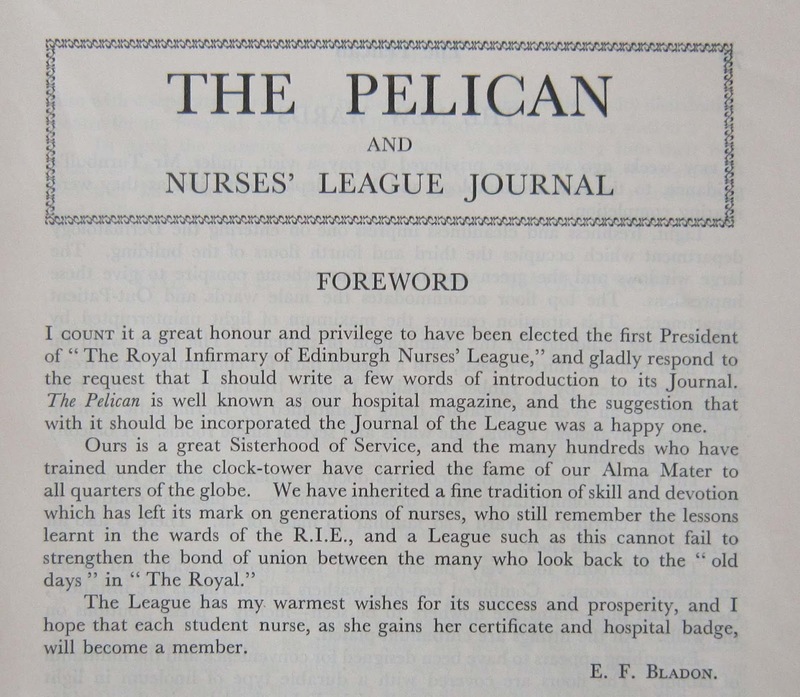 The Pelican had long been a symbol of the Royal Infirmary of Edinburgh, appearing on its crest. 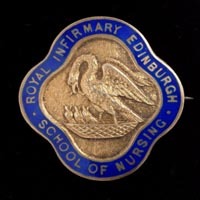 Shown as a female plucking its breast to nourish its young with its blood, it became synonymous with nurture and self-sacrifice, a fitting emblem for the work of the Infirmary as a charitable institution, and as a symbol of the RIE Nurse Training School (founded in 1872), appearing on its badge from 1917. 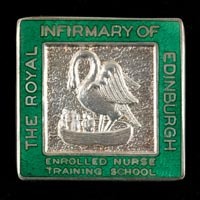 Nursing badges were worn with pride, a very visual reminder of years of (often extremely challenging) training to meet rigorous professional standards. 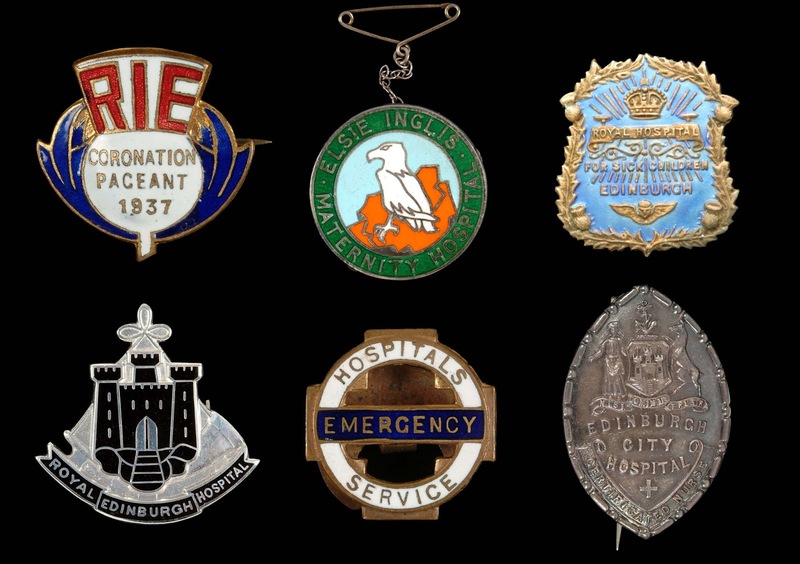 Back in 2011, we carried out the Unsung Heroes project with jewellery and silversmith students from Edinburgh College of Art to create new badges from our original archival holdings, taking inspiration from oral histories from retired nurses, recorded by the students themselves. 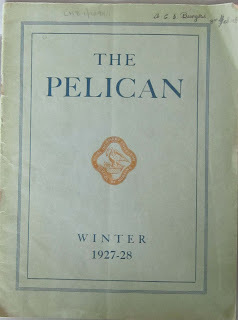 You can hear some of the recordings online, here. 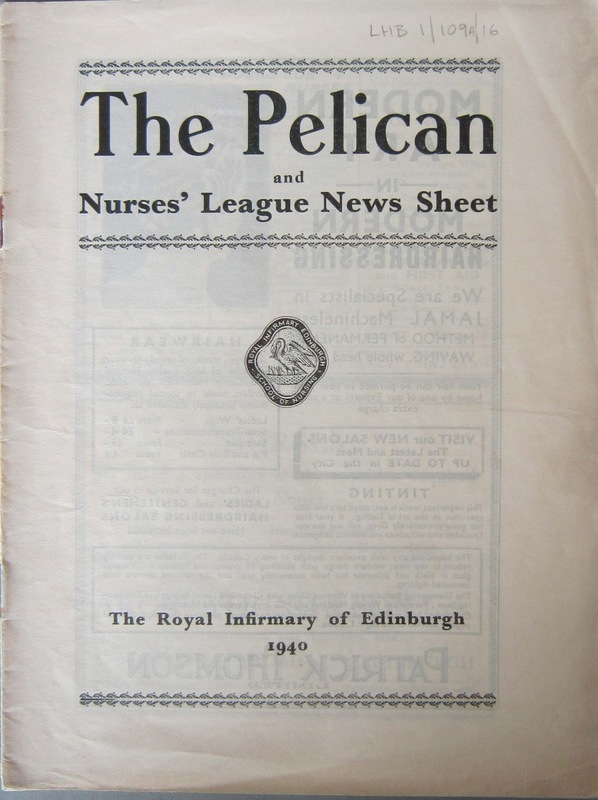 'The Perfect Nurse' strikes a typical tone in early issues of The Pelican – of squinting up at an ideal, angelic nurse, but never quite reaching. 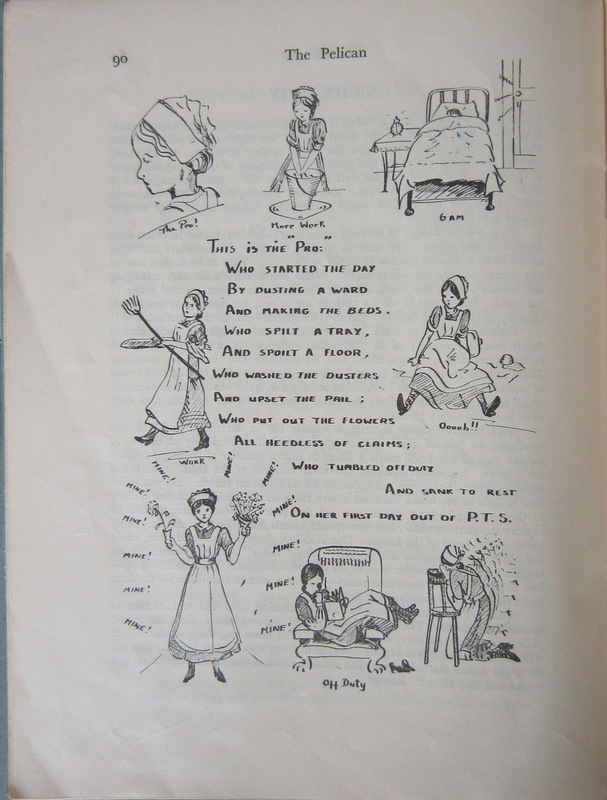 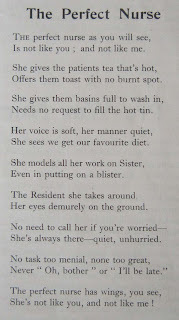 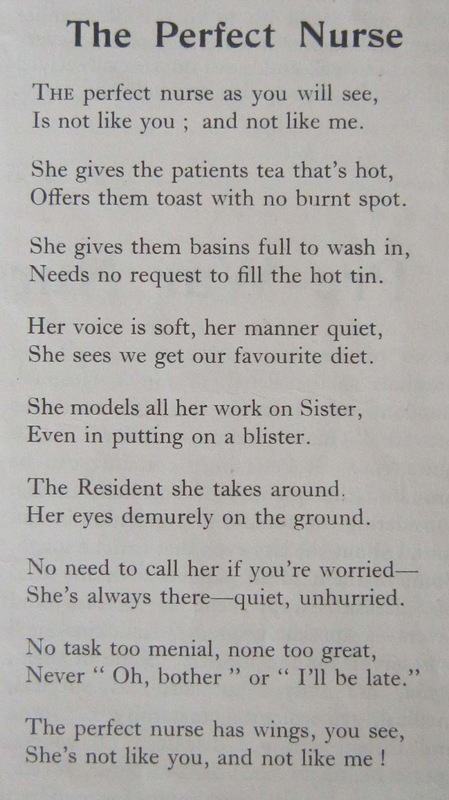 It's a reminder that the (then) women who washed the bedpans, changed bandages and (as their training went on) administered treatments and aided operations were flesh and blood human beings doing their best against often unrealistic expectations that they carried with them as new starters. 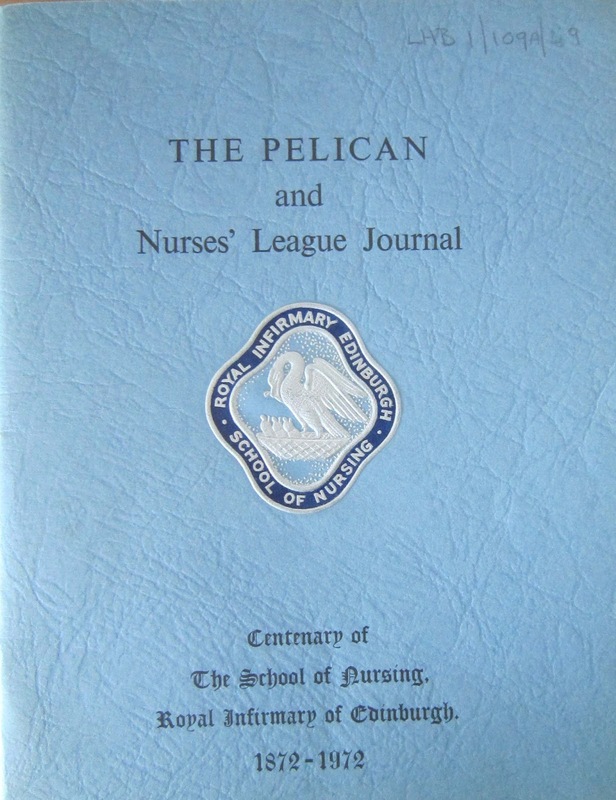 A less well-known Pelican badge, that of the State Enrolled Nurse (LHSA object collection, O258). 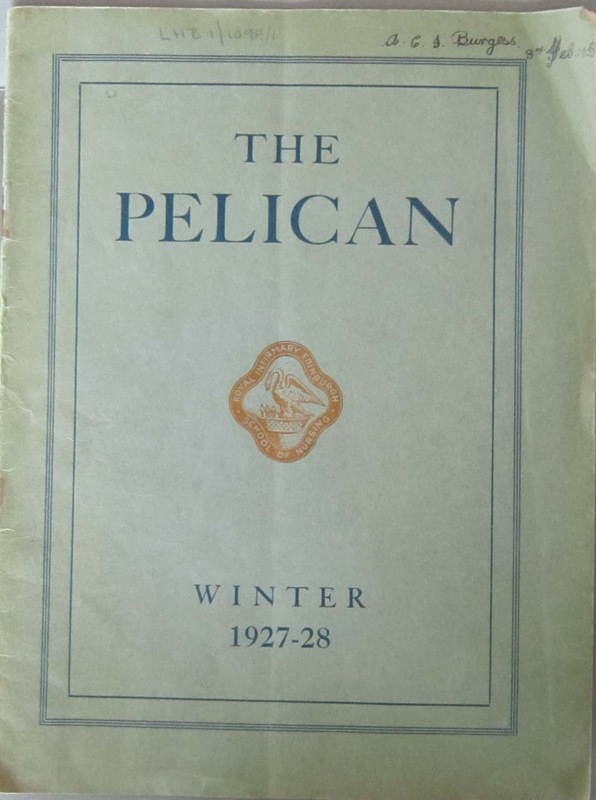 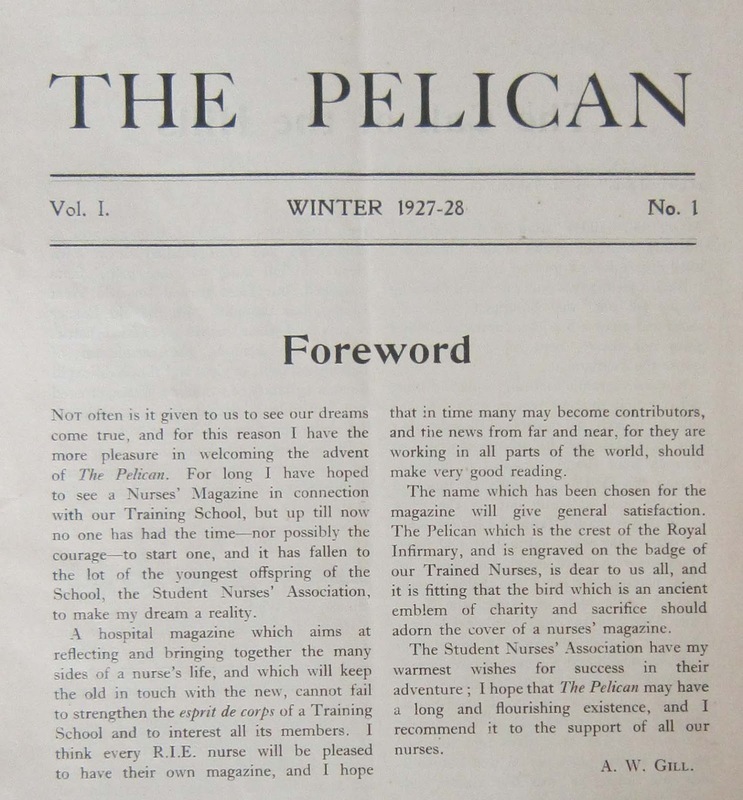 The Pelican continues to publish to this day, and the 2017 edition has just been sent to LHSA for the archive. 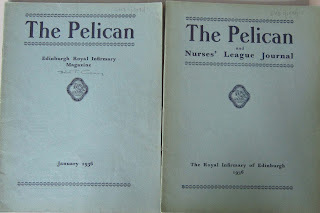 As well as administrative matters (for example, member news, notices and meeting minutes), there are also historical features based on the editor's research in LHSA and recollections from nurses in particular specialist wards, such as Norman Dott’s Department of Surgical Neurology and the Renal Unit, where the first kidney transplant from a live donor in the UK was performed in 1960. 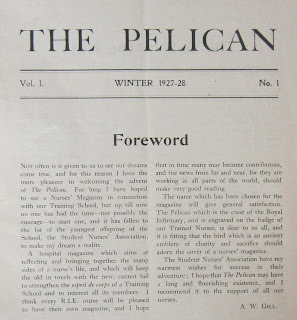 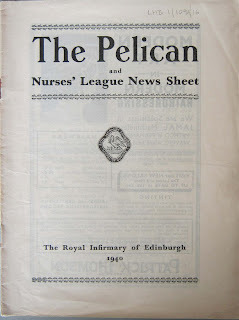 Appropriately for International Nurses' Day, modern editions of The Pelican also feature news on the Pelican Award, funds awarded to students on Adult Nursing Programmes in selected Lothian universities in support of electives (placements to supply experience of nursing outside their own region, but anywhere in the world) and to Registered Nurses towards funding research projects or professional development. 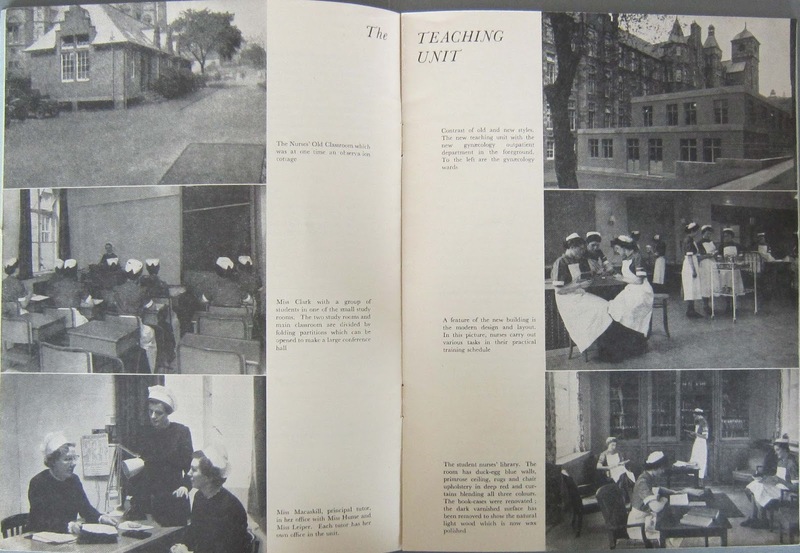 In 2016, seventeen student electives were funded, from Birmingham to China, Sri Lanka, Australia, Tanzania and The Philippines – a truly international story for International Nurses Day 2017! 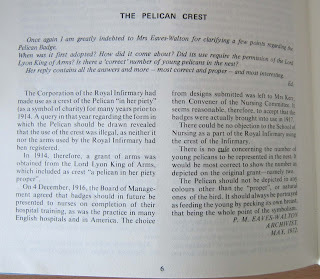 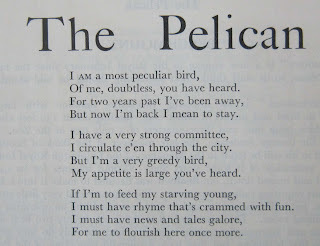 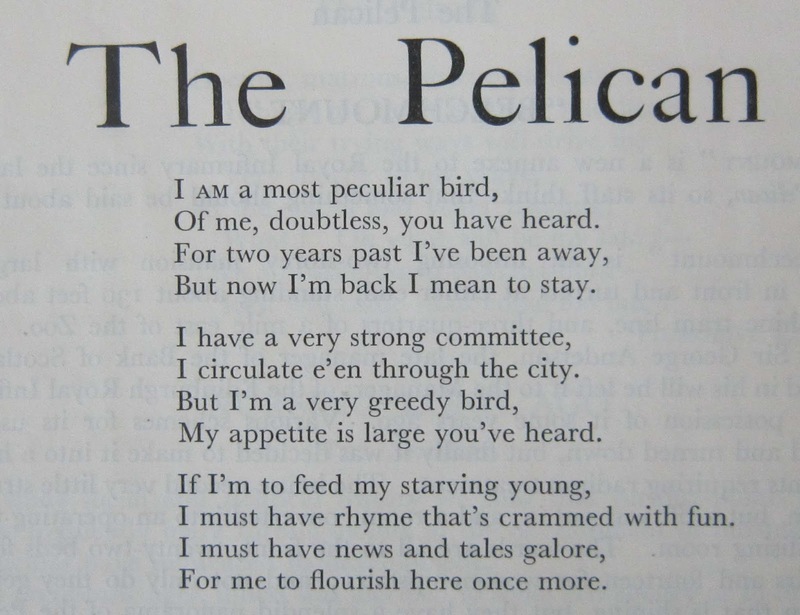 If you were the proud owner of a Pelican badge (according to the League records that we hold, Pelican badges were being issued up until at least summer 1988) and would like to join the Pelican League, new members are always welcome – you can find more details on the League’s website.